« Greek philosopher or ailment? I have seen some elephs crawling up my kitchen wall lately. Wonder what can be done about them. I don’t know how it is in other regions of the country, but around here, our parent’s sisters are also – ants. I wonder what a triumph ant would look like? 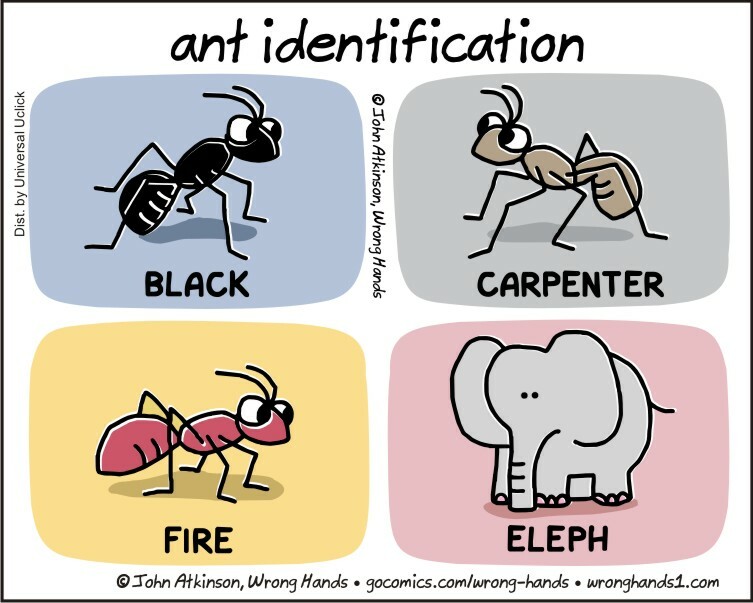 The Daily Ant just featured this comic, but they’re unsure what to think about it. Feel free to give your opinion in the comments!